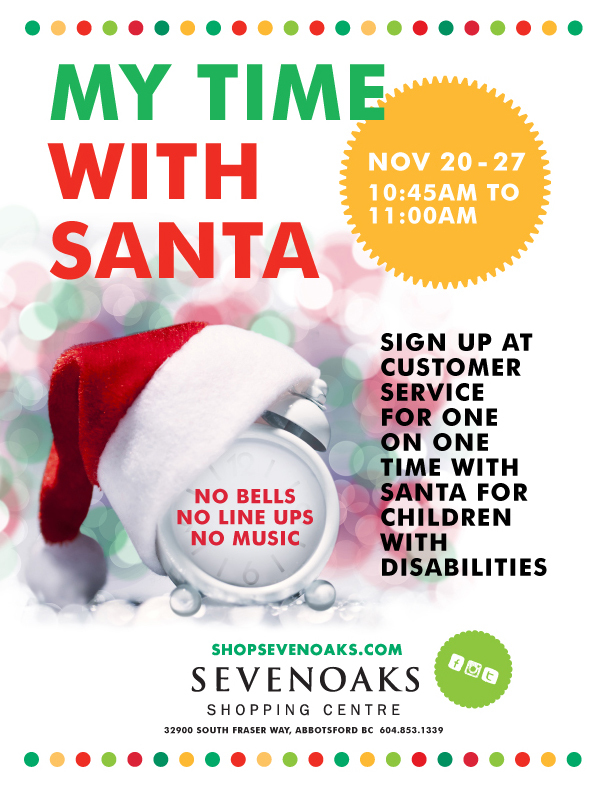 My Time With Santa is an opportunity for children with disabilities to have a quiet and relaxed visit with Santa. 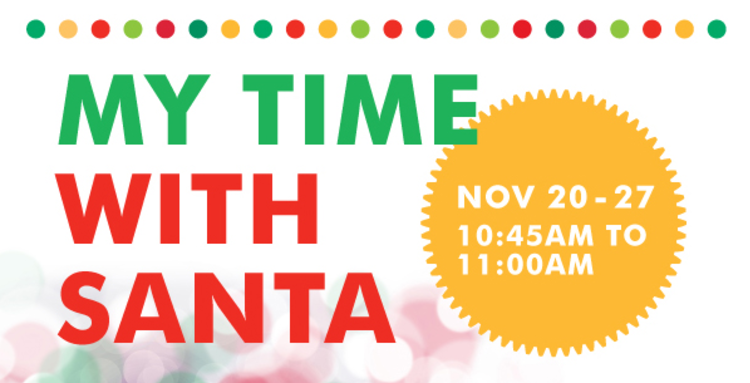 To participate, sign up with Customer Service: 604-853-1339. The event takes place from November 20-27th from 10:45am-11:00am.